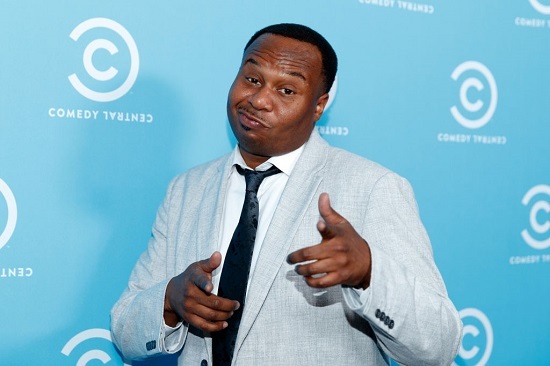 Roy Wood Jr. on writing jokes and working on "The Daily Show"
Roy Wood Jr. is a comedian. You've probably seen him as a correspondent on "The Daily Show." He's done comedy pretty much his entire life, but he majored in broadcast journalism and for a while, it was looking like that was gonna be his career. He was born and raised in Birmingham, Alabama and first got his start in radio, working at a handful of stations. Sometimes he wrote, sometimes he produced or reported, but at heart, Roy's always been a standup, doing his act whenever he found the time. In 2010, he finished third on NBC's "Last Comic Standing," which is when his career took off - he got his own radio show, got acting roles, started getting booked in bigger venues. He soon released his stand-up comedy album called "Father Figure," which made a bunch of top 10 lists for 2017. This year, Roy released his new one-hour stand-up special called Roy Wood Jr: No One Loves You on Comedy Central which accompanies his digital album and features original sketches based on his act. Roy talks with Jesse about the difficulty of writing original jokes, gang colors, and how being on the Daily Show has given an opportunity to share some of his bolder takes on politics and race. Click here to listen to Roy Wood Jr.'s interview on YouTube. Roy Wood Jr. is a comedian. You've probably seen him as a correspondent on "The Daily Show." He's done comedy pretty much his entire life, but he majored in broadcast journalism and for a while, it was looking like that was gonna be his career. He was born and raised in Birmingham, Alabama and first got his start in radio, working at a handful of stations. Sometimes he wrote, sometimes he produced or reported, but at heart, Roy has always been a stand-up, doing his act whenever he found the time. In 2010, he finished third on NBC's "Last Comic Standing," which is when his career took off - he got his own radio show, got acting roles, started getting booked in bigger venues. Last year, Roy released his stand-up comedy album called "Father Figure," which made it on to many top 10 lists. He also just kicked off a national tour that will continue over the rest of spring and summer. Roy talks with Jesse about the difficulty of writing original jokes, gang colors, and how being on "The Daily Show" has given him an opportunity to share some of his bolder takes on politics and race. 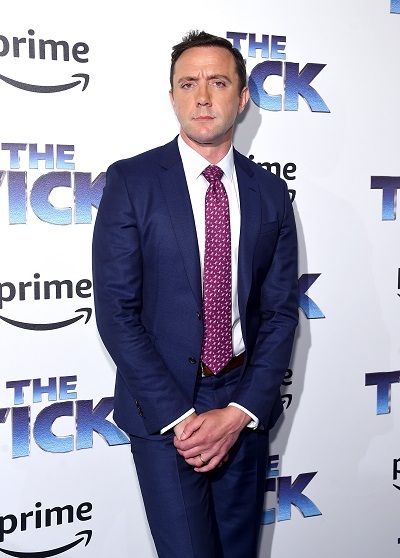 Peter Serafinowicz on his new role on the TV series "The Tick"
Peter Serafinowicz is a British actor and comedian with a varied career in entertainment. He's been on a bunch of British TV shows - "Spaced," "I'm Alan Partridge," and "The IT Crowd." He did voice work as Darth Maul in "The Phantom Menace." He's also a music video director, a brilliant impressionist, and a screenwriter. Together with Robert Popper, he created the comedy series "Look Around You"- a parody of those boring educational documentaries kids watch in school. Now, he's got a lead role. He's starring in the Amazon series "The Tick" as the Tick. It's a new live-action superhero comedy about a giant muscle man in a blue suit with antennas on his head. He's got super strength. It's almost impossible to hurt him, but he's kind of dumb and bumbling, too. His sidekick, an accountant named Arthur, is the only one who can really keep him grounded. Peter talks to Jesse about writing dialogue that is essentially meaningful but sounds nonsensical and the most important lessons he learned from great impressionists like Mike Myers and Phil Hartman. The first season of "The Tick" is available to stream now on Amazon. It just got picked up for a second, which should premiere next year. Click here to listen to Peter Serafinowicz's interview on YouTube. 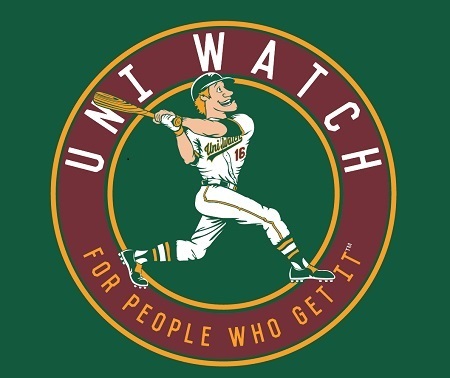 If you ever found yourself falling in love with a team because of their goofy logo, Uni Watch is the blog for you. It's a whole website dedicated to all things sports uniforms and where the intersection of athletics and aesthetic is big news. Click here to listen to Jesse's Outshot on Uni Watch on YouTube.